The Delhi University conducts a national level exam for admission to its undergraduate course or what's called the 3 year DU LLB Exam program. The seats will be filled for all three law colleges under DU. These three colleges are the Campus Law Centre, Law Centre 1 and Law Centre 2. Counting the overall seats including all three DU colleges there are a total of 2310 seats. Candidates seeking admission to any college under the aegis of the university have to appear for the DU LLB Exam 2017. The exam will be conducted on a nationwide level by the Faculty of Law, University of Delhi. Who can sit for the DU LLB Exam? The entrants can sit for the exam when they meet the eligibility criteria. The age of an applicant must not be more than 30 years in July of the application year. For general category students, it is necessary that they obtained at least 50% aggregate marks in the qualifying exams. The minimum marks obtained by OBC category in the qualifying exam needs to be 45%, for SC and ST category students the minimum marks obtained should be 40%. A relaxation of 5% marks in minimum marks prescribed for general category will be done for windows or wards of ex-servicemen/serving personnel and for those who have a physical disability. The DU LLB Exam will be held tentatively in the last week of June and unlike CLAT it is an offline exam and the applicants will be required to go to their exam center to appear for the exam. Each correct answer makes you win four marks and for every wrong answer you will be negatively marked and you will lose 1 mark per wrong answer. The provisional answer key will be released within two days of the exam and you can file your representation should be made to the Dean, Faculty of Law, Delhi University along with proof in the form of supporting documents from descriptive textbooks. The email id for correspondence with the dean. DU LLB Results will then be released by the first week of July and merit list made at around the same time. Based on your number in the merit list you will then be called for counseling which is again in the first week of July. Allotments of a seat is the last step in the process and will go on until last week of September. All dates are tentative and can be subject to change. The students whose names appear in the merit list will be called for counseling and once they are allotted the college they will not be allowed to change to another DU college. The seats reserved for OBC candidates are 27% of the total seats, for SC students the total number of reserved seats are 15% and 7.5 % of the total seats are for ST candidates. 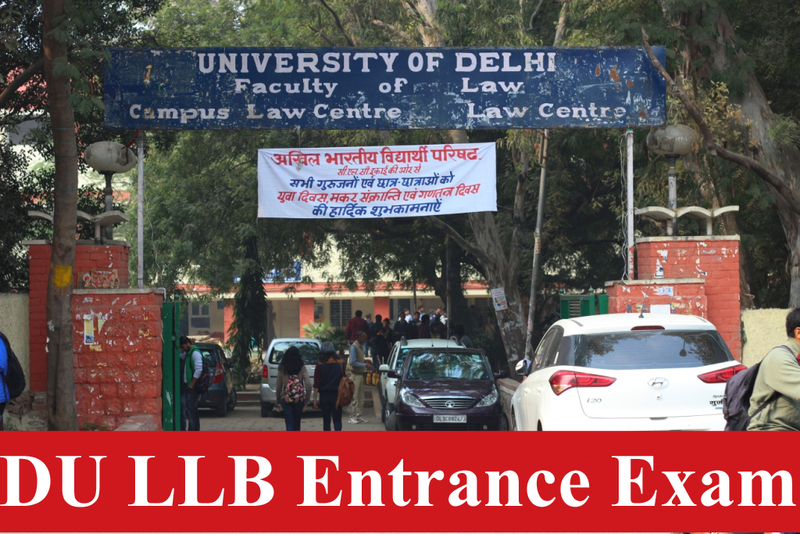 The Delhi University conducts a national level exam for admission to its undergraduate course or what's called the 3 year DU LLB Exam program.